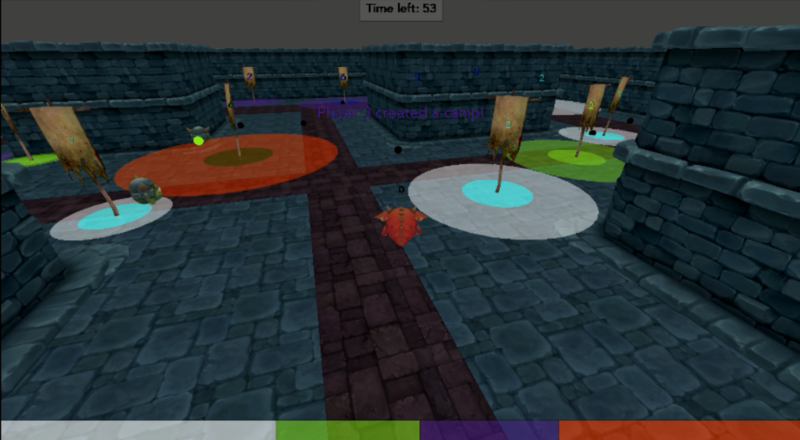 FlockedUp is a PC game developed in the open source render engine Irrlicht, written in C++. Our student team consisted of four programmers. We had to make an AI extension to the Irrlight engine and upon that our own game showcasing this extension. We came up with a game where the player has to play against multiple opponents for 1-2 minutes and try to cover as much as territory possible. 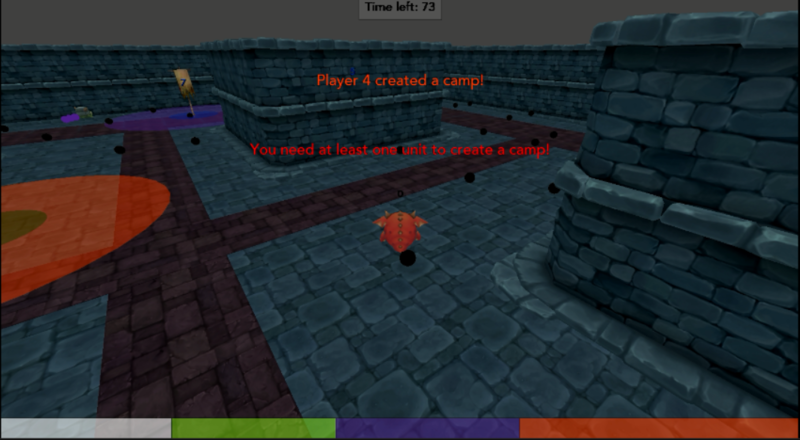 The player has to pickup “units” and can install camps with them, which expanding speed depands on the amount of units installed in the camp. Every camp can be taken over by having more units then installed in the camp, so it’s about finding a balance in installing new camps, defending the already installed ones and taking over others. 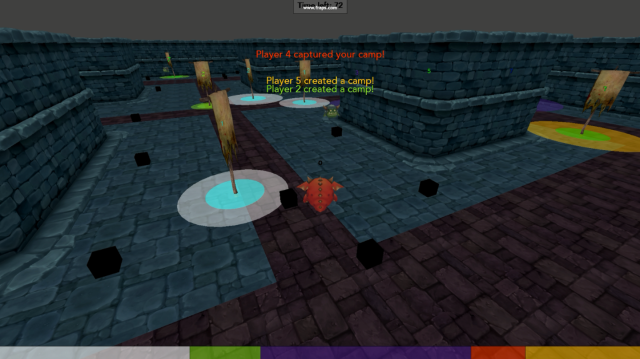 Players can also dash each other, which will smash off all of the player’s current picked up units. 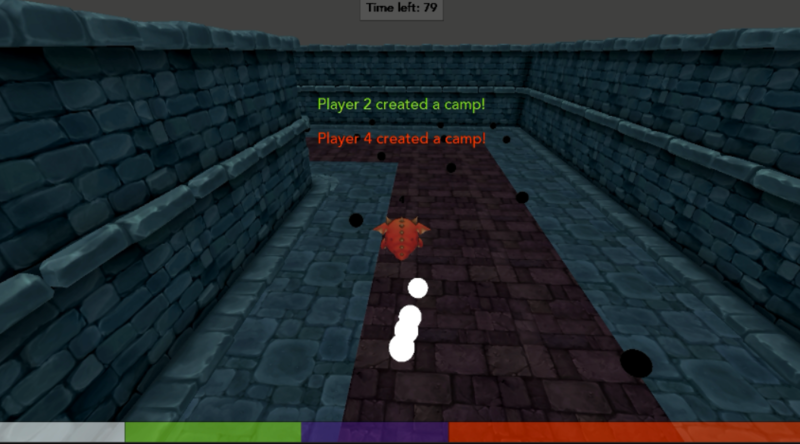 My programming on the engine consisted mostly on the A* and Funnel Algorithms, using a navigation mesh, I also did the GUI for the showcased game. Besides my role as a programmer I was also the Scrum master for the project. Taking into account the engine we used was outdated for many years already and three of the four of us never worked on a project in C++, the game turned out pretty good. The final product was graded with a 9. The game executable for Windows can be downloaded here: FlockedUpFinalBuild.zip.